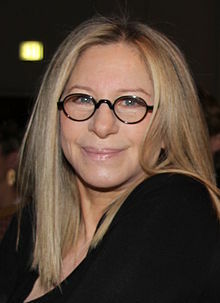 Barbara Joan "Barbra" Streisand (born April 24, 1942) is an American singer, actress, producer, and director. She has won multiple Emmy Awards, Grammy Awards and Golden Globe awards. She is of Jewish descent. This page was last changed on 8 December 2018, at 06:32.